The newly constructed storage yard modules. The points for the Up yard are being laid out as per the plan. The work on the trailer has been completed. All interior fittings have been fabricated and added, and the modules tested for fit. New front and rear doors were cut and fitted. We also took advantage of the work on the trailer by upgraded the lighting, replacing the original fittings with LED lights, as well as adding side marker lamps for greater visibility at night. The last two modules, for the storage yard, have been built. "Wallerawang" was then set up for the first time. 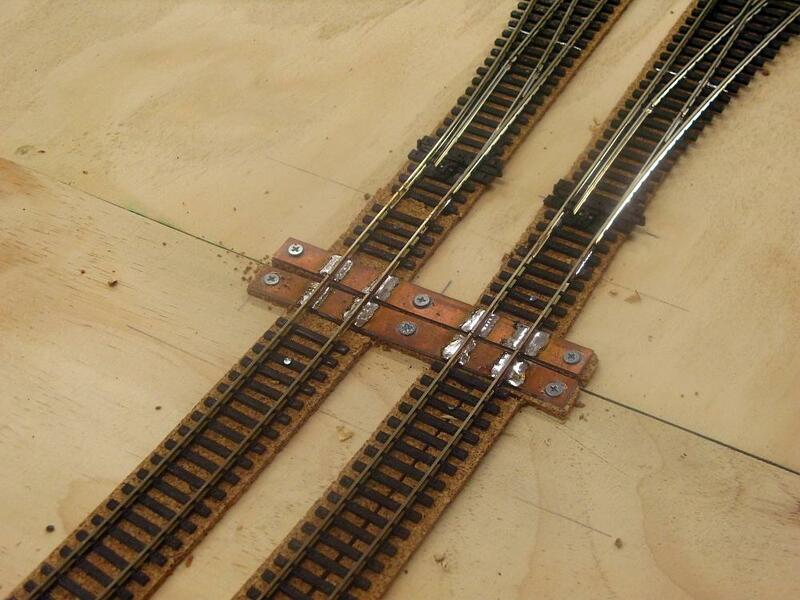 The new modules were matched with the rest of the layout, and track was laid from the middle of each end module and around through the centre of the storage yards. 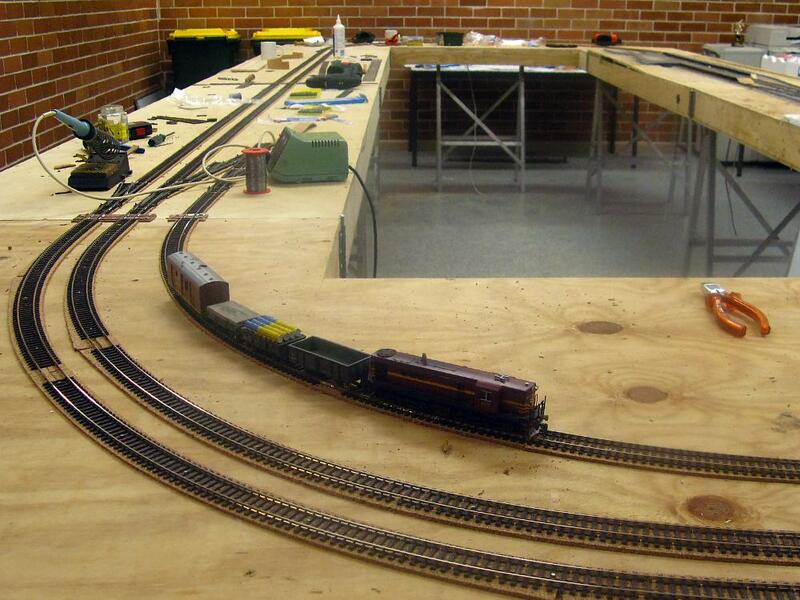 View from the end of the layout, showing the track laid through the storage yard, and the first train on the Mudgee branch. 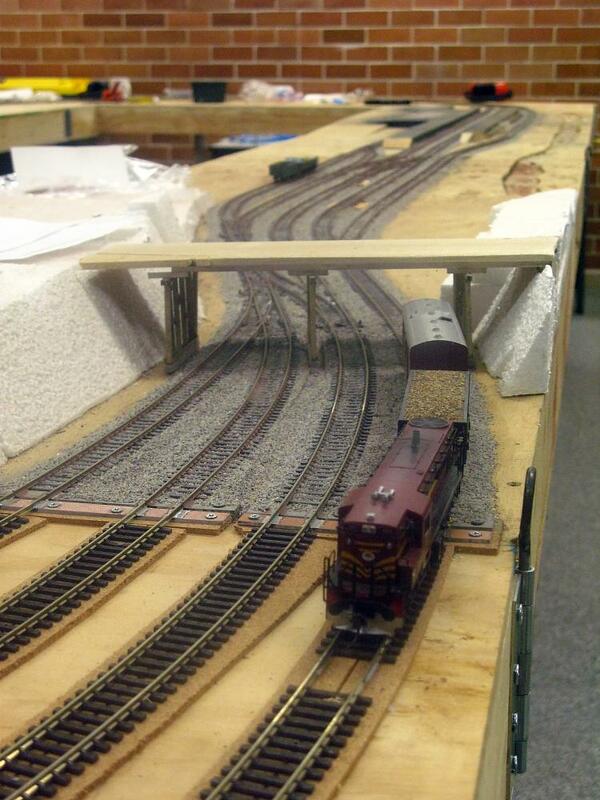 Detailed view of a track join between modules. 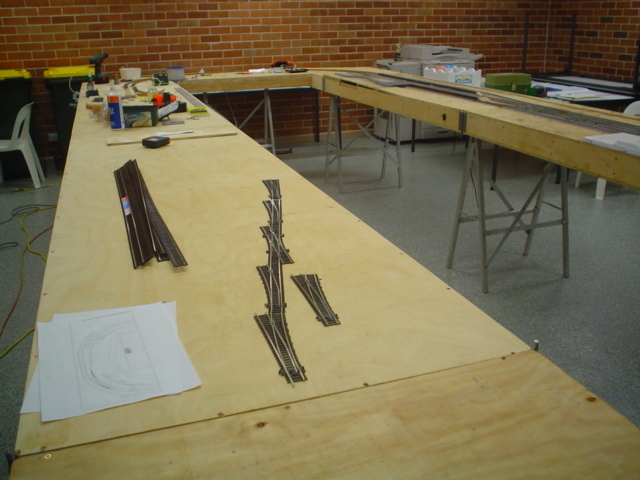 Strips of printed circuit board are used to terminate the track at the end of each module. The plastic sleepers are removed and the track is then laid over the join in one piece, before being soldered to the PC board. Afterward the rails are cut with a razor saw. The copper on the PC board will then be cut, isolating each rail. View along the front of "Wallerawang" showing the station platforms and yard. 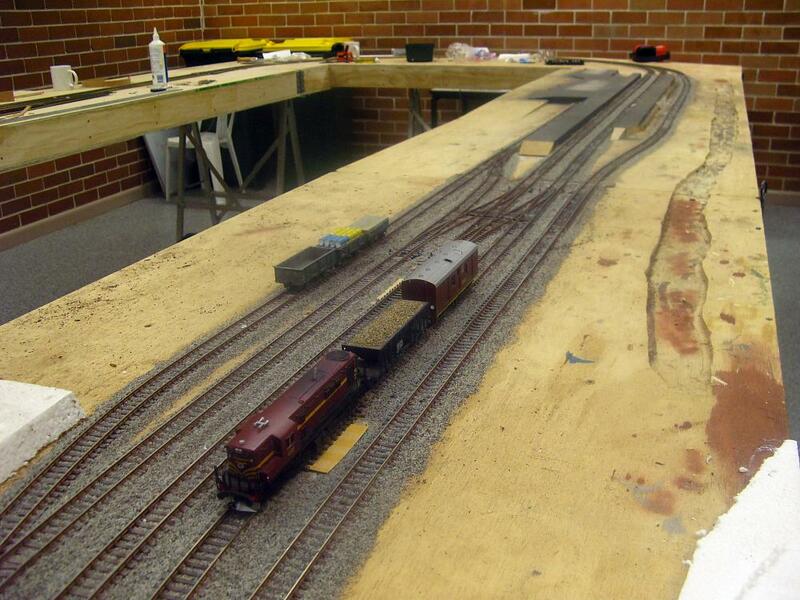 The 48 class, ballast wagon and brake van are on the Down main while the three 4-wheel wagons are sitting where the Goods Shed and loading dock will be located. The same train, pictured here after it has just passed under the road bridge.